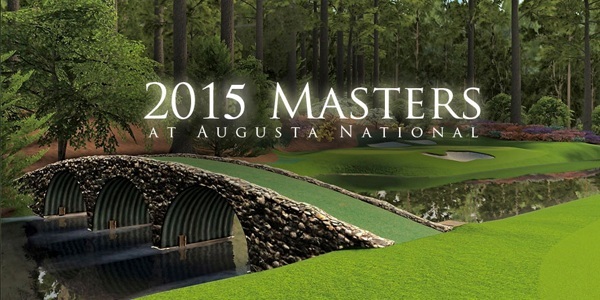 The first major of the year gets underway on Thursday, The Masters, at Augusta National Golf Club. It’s set to be an outstanding event with all of the big boy’s competing, including Tiger Woods who is making his first competitive appearance since he withdrew from the Farmers Insurance Open in February. Rory McIlroy heads the betting at 13/2, despite his poor record around Augusta and two time Masters Champion Bubba Watson is second in the betting at 11/1. The Masters is arguably the easiest major to predict and that’s largely due to Augusta National Golf Club hosting the event every year. It’s a par 72 that plays firm and fast and is relatively long at 7,435 yards. Unsurprisingly the longer hitters have fared well around Augusta, 14 of the last 15 winners of The Masters have finished the year inside the top 68 players in terms of the driving distance statistic. This obviously shows that distance off the tee is a huge advantage this week. As well as distance, previous course form is also imperative. Only one player has ever won The Masters on their first attempt and that was Fuzzy Zoeller, back in 1979. It should also be noted that from 1998 to present, each of The Masters champions made the cut the year before their victory. This immediately rules out a number of players if we’re to follow this significant trend. Jordan Spieth – It’s hard to ignore Jordan Spieth this week, personally I think he should be the favourite. The talented young American is in excellent form, he won the Valspar Championship under a month ago, finished second in the Valero Texas Open a couple of weeks ago and last week he also finished second. Spieth hadn’t played Augusta National Golf Course before last year but he nearly broke numerous records. His first Masters appearance resulted in a second place finish, this suggests that he can perform well around this tricky track. It should also be noted that Jordan has improved a lot since last year. Adam Scott – Adam Scott has started this season with the short putter however he’s returning to the longer more reliable putter this week. Scott is undoubtedly one of the best players in the field and I think 19/1 is very generous considering he’s switching back to the putter that’s brought him so much success. The Australian has eleven victories on the PGA Tour and has finished inside the top ten in every major championship. Adam Scott did win The Masters a couple of years ago and this proves he can perform well around Augusta. It should also be noted that Scott has finished inside the top 20 in this event in his last five appearances. Billy Horschel – I’m surprised a player of Billy Horschel’s quality can be backed at 80/1. Billy won the Fedex Cup last season, beating the likes of Rory McIlroy, Bubba Watson and Jimmy Walker to the title. This shows what an excellent player Horschel is and I’m sure his game will be in good shape coming into the first major of the year. As you’d expect after winning nearly $15million last year, Horschel has started the season slowly. A couple of weeks ago Horschel recorded his best finish of the year in the Valero Texas Open, he finished in 3rd position, this suggests his game is in good shape. Like Spieth, Horschel has only played in The Masters on one occasion and that was last year when he tied for 37th. This is a relatively decent performance considering it was his first visit to Augusta. The course suits Horschel’s game, he hits the ball a long way and is ranked 34th in the driving distance statistic this season.